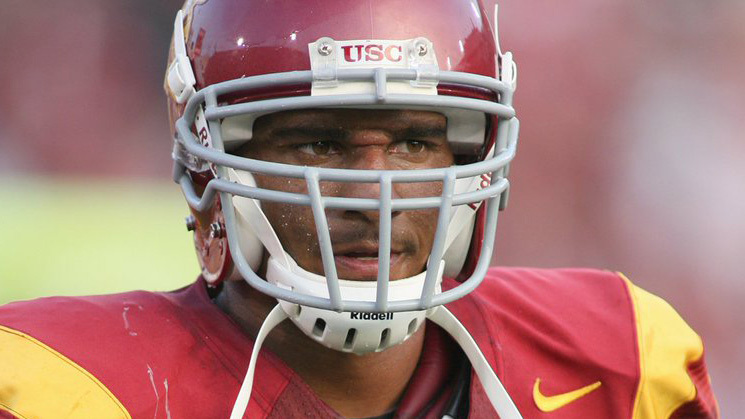 Kevin Ellison during his playing days at USC. Photo courtesy of USC. Former USC Trojans and Chargers safety Kevin Ellison died last week while walking along Interstate 5 in Los Angeles’ San Fernando Valley, it was reported Monday. He was 31. Chris Ellison told the Los Angeles Times that his brother was walking along the 5 Freeway at the time of his death. Records from the Los Angeles County coroner’s office show Kevin Ellison died on a freeway, according to The Times. No cause of death was listed. An exam is pending. Kevin Ellison faced federal arson charges in 2012 while playing for the Arena Football League‘s Spokane Shock after he caused $50,000 in damage by setting his bed on fire at the Big Trout Lodge in Liberty Lake, Washington. According to court records cited by The Times, Ellison said God told him to set the fire.